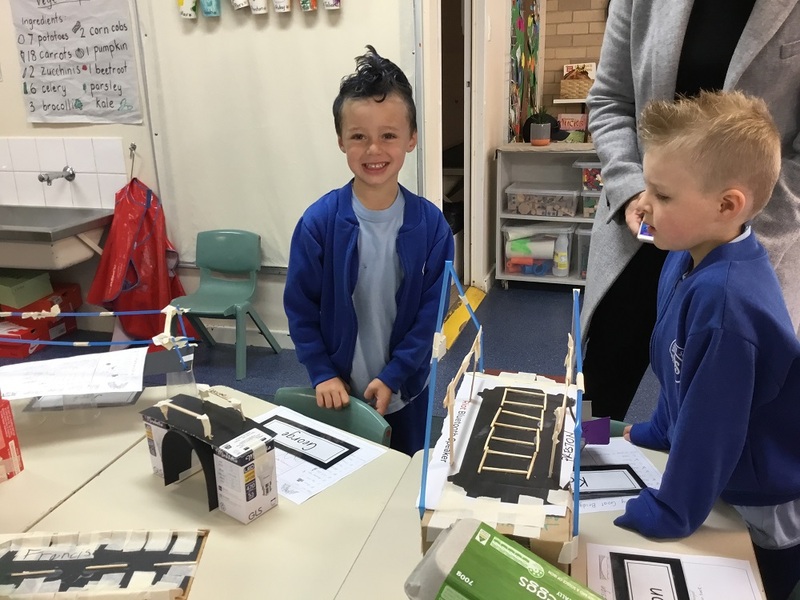 This term in our talk for writing program we have been exploring the text ‘The Three Billy Goat’s Gruff.’ For our design and technology learning area we built our own bridges for the three billy goats. 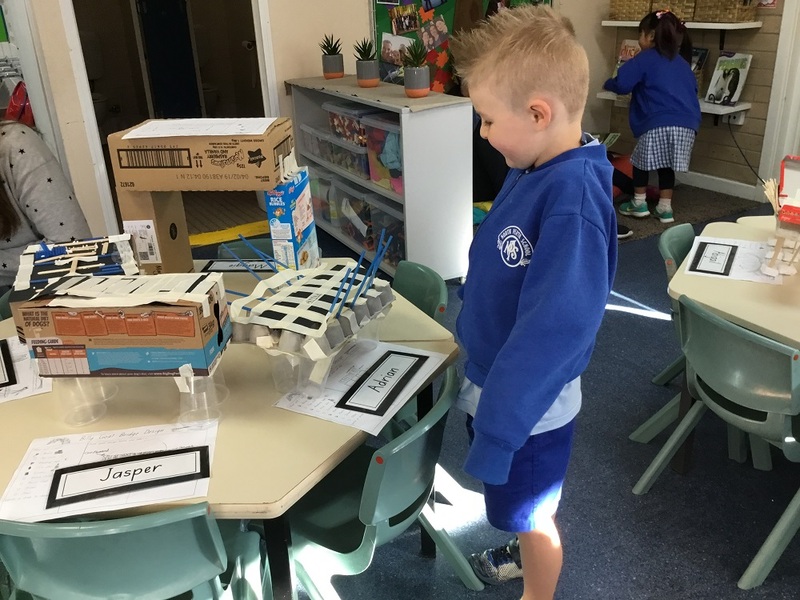 We first looked at bridges around the world and this elicited some very interesting conversations about famous bridges some of our class members have visited and facts they knew about bridges around the world. 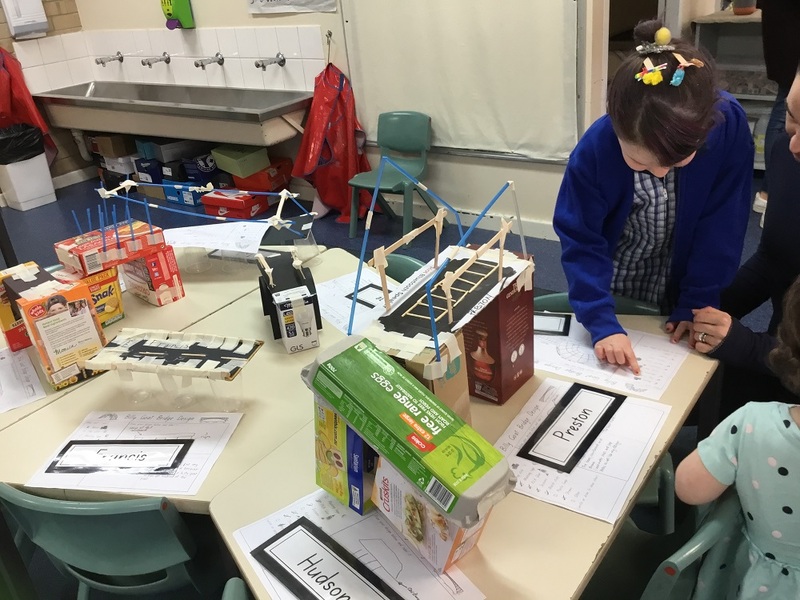 We then explored the features of bridges and investigated the structure of bridges and how to make them strong enough so they don’t collapse. 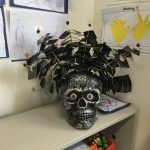 The students then were told what materials were available to them to use such as cardboard boxes, straws, masking tape and plastic cups amongst other materials. The children then drew their bridge design labelling the materials they would use in their product. 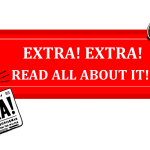 They used this design to build their bridges and if necessary made changes, so their bridge could stand by itself and the billy goats could walk across it. 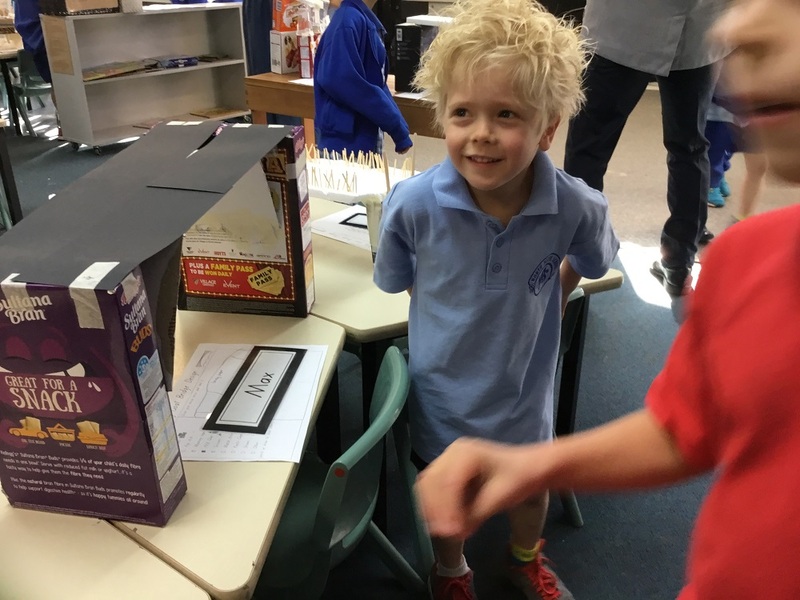 We opened our doors up to Room 20 and it was such a fun and exciting lesson with everyone constructing their amazing amazing creations. 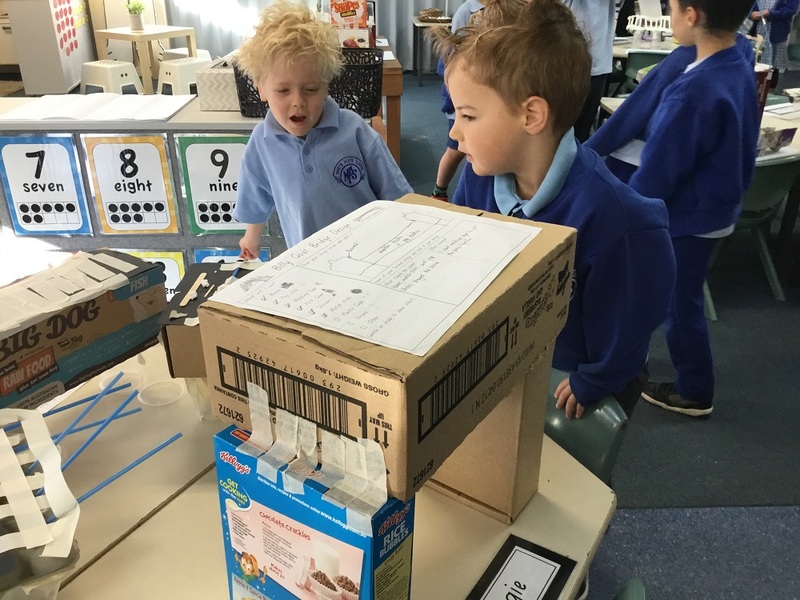 After their bridges were built, the children reflected on their design and end product and identified what stayed the same and what changed. 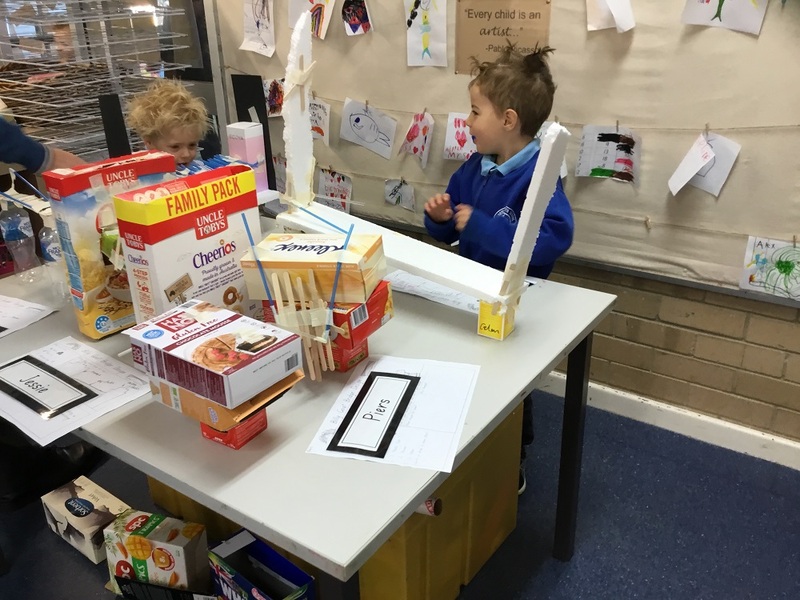 We then showcased the wonderful bridges by inviting parents and carers into the classroom for a ‘gallery walk’ for two mornings where the bridges were on display and parents and carers could come in and walk around the classroom viewing everyone’s bridges and design plans. Well done to Room 21 you really are all amazing and talented bridge builders!